Get more informed about HIV. Shape policy and services to ensure that they meet your needs. If you can’t make it along to the meetings, you can send us your point of view at www.ourpositivevoice.org. 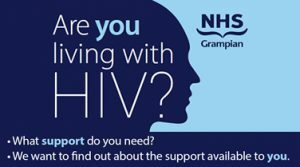 Our Positive Voice (Grampian) is open to anyone living with and affected by HIV in Grampian. Refreshments will be provided. Forms for travel reimbursement will be available at the meeting.